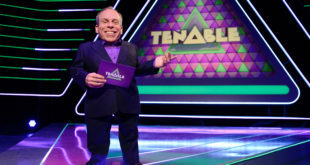 ITV Studios will reinvent show with CGI and live-action models. 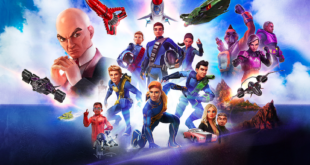 Thunderbirds are Go – a brand new version of the TV show – will debut on CITV in 2015. ITV Studios, Pukeko Pictures and Weta Workshop are reinventing the classic brand, some 50 years after its TV debut, with a mix of computer animation and live-action model sets. Thunderbirds are Go! (working title) will consist of 26 30-minute episodes and is being billed as a "major new children’s series". The show will feature the five brave Tracy brothers as they take part in International Rescue missions. Thunderbirds are Go! 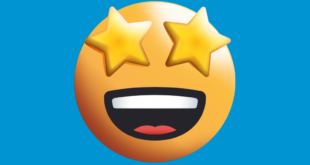 will be executive produced by Estelle Hughes for ITV Studios, Giles Ridge for ITV Studios Global Entertainment (ITVS GE) and Richard Taylor and Andrew Smith for Pukeko Pictures. The series’ head writer is Rob Hoegee, of Ben 10 and Generator Rex fame. It has been commissioned by Jamila Metran, Head of Programming for CITV, and is currently in pre-production. Denise O Donoghue, MD for ITV Studios UK, said: "Thunderbirds is a highly respected brand that continues to hold recognition around the world. "This cult series is often credited as changing the history of animation and action-adventure, and we look forward to taking the show to another level while retaining the much-loved heritage that has endured over the past fifty years." Richard Taylor, co-owner of Pukeko Pictures and Weta Workshop, added: "It is thrilling to think we have the opportunity to work with ITV on this new series inspired by this most wonderful of British shows. "I personally, together with the teams here at Pukeko Pictures and Weta Workshop, look forward to designing and creating an inspirational world that will engage the imagination of a whole new generation as it did for us nearly half a century ago." 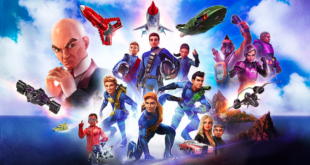 ITV Studios Global Entertainment has the worldwide rights to the Thunderbirds brand. It’s the global distributor for the Thunderbirds Are Go! TV series and consumer products.